On September 24, 2011 the Town of Long Lake was the site for the Long Boat Regatta. This race is sponsored by the Adirondack Watershed Alliance. The race kicked off from the Long Lake Town Beach on route 30 at 10am. On Saturday morning there was a slight mist in the air and the lake was pure glass as the boats launched. War Canoes traveled South West to Moose Island as all other boats head northeast towards Round Island. This race features the 22-Mile North American War Canoe Championships, and a 15-mile race on Long Lake. Other events include the Adirondack Kayak Championships, a 15 – Mile C-4 marathon, and guideboat and “Anything goes” races for youth and adults. All races begin and end at the beach across from the Adirondack Hotel and it is always held on the last Saturday in September. Great time for fall foliage. The following video features the 2011 race. Congratulations and thank you to all the paddlers that participated. We look forward to seeing you again next year. Special Thanks to the Long Lake Lions Club for serving food, the Long Lake Fire Department for use of their boat and the AARL for their Ham Radio operations. Near the Long Lake Town Bridge on Route 30, overlooking a widening of the Raquette River, one will discover the Adirondack Hotel with one of the premier locations in the Adirondack North Country with a spectacular view of the high peaks at the far end of the lake. 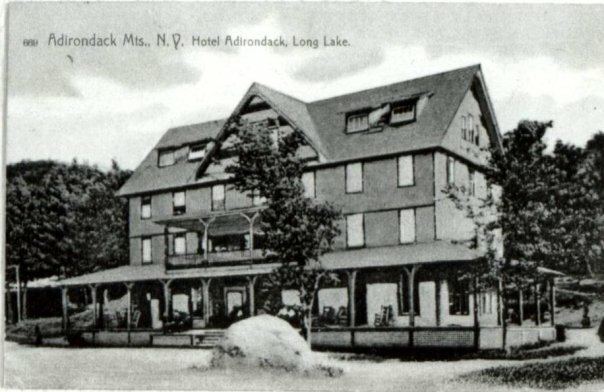 The original Adirondack Hotel, Kellogg’s Lake House, opened in the 1860’s, only to burn in 1898. The current structure dates, in part from 1899. The hotel has a rich history. 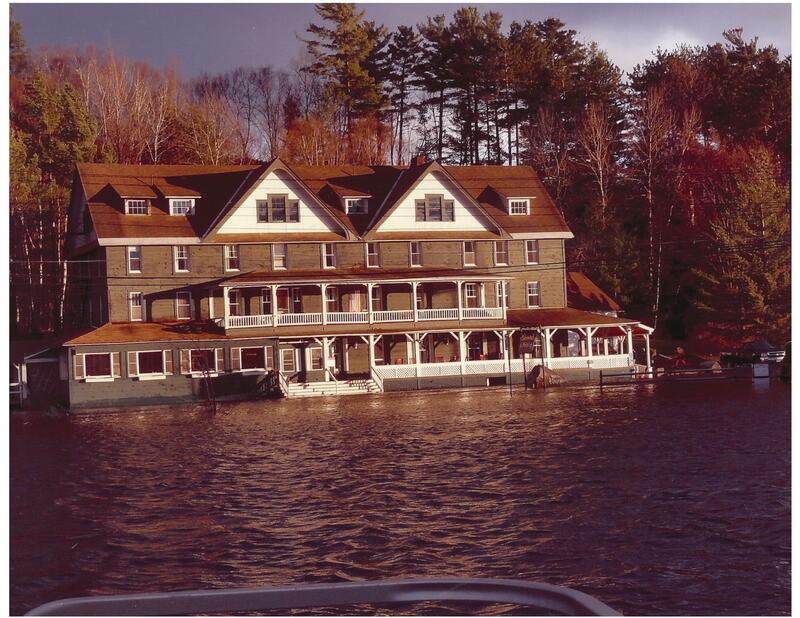 Famous people who have visited the Adirondack Hotel include Helen Keller, Ann Sullivan, Rod Stewart and Mick Jagger. Albert Einstein put guests up at the hotel. Yankee legend Mickey Mantle stayed there. An unverified local legend contents that Theodore Roosevelt once joined a mysterious woman for breakfast there. The Hotel Adirondack was touted in 1923 as offering “excellent rooms, light, airy and attractively furnished. Meals were pronounced universally good, with first class service. In 1990 Carol and Art Young took over the reins. The first five years was a struggle to correct the infrastructure to make it safe and usable. It required investment in re-wiring the hotel and re-doing the septic to modern day safety standards. It was very difficult to procure financing, in fact, they had a private mortgage with the seller because the banks wouldn’t talk to the owners. After obtaining two loans from local New York State, Adirondack agencies, and establishing excellent credit the banks were willing to talk. Once the banking relationships were established, getting a loan was not a problem. 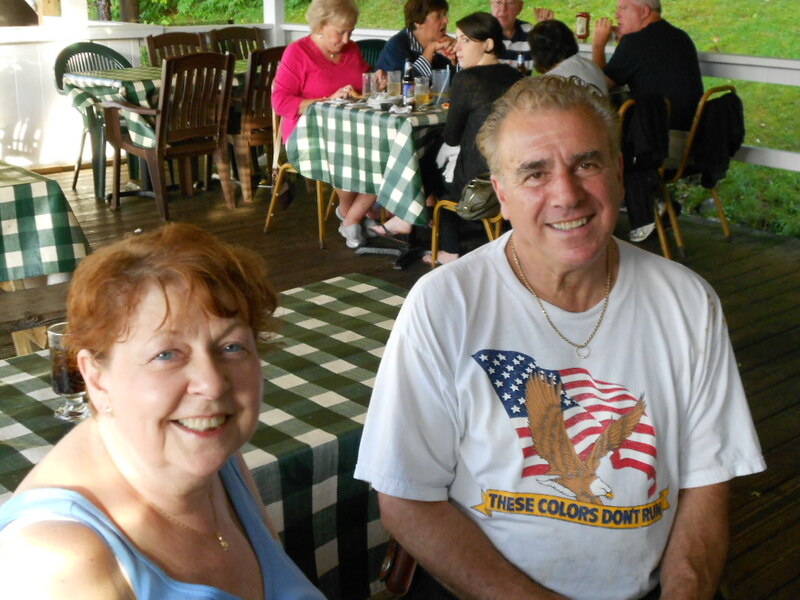 Carol and Carmine Inserra now operate the hotel which is one of the top ten employers in Hamilton County with 36 staff in the summer and 12 year round staff. Making it through the winter is very difficult financially. In 2010 it was particularly hard as food costs increased by 20%, less people visited, fuel costs increased significantly and skyrocking costs of insurance, payroll taxes, workman’s compensation and disability insurance added to the tab. But these issues are not Carol and Carmine’s alone. There are several year-round hospitality businesses, lodging and dining operating in Long Lake and every single one feels the pinch of the economy which makes suffering the loss from a flood even more devastating and impactful on the Adirondack community as a whole. Keene Valley and Ausable, NY post-Irene are no exceptions to this rule. Why the Hotel? Why now? Why raise the money? Because if the hotel closes, the town loses its heart and it’s center. It loses 12 year round jobs which multiply into dollars in the community and children for our school. Closing businesses now? We’re just getting started! We need all the beds we can get! In April, 2011, The 100 Year Flood occurred. The flooding had a disastrous impact on the hotel. It was closed for 10 days. Both boilers were destroyed and needed to be replaced. The cellar was flooded and boilers were ruined. Luckily friendly neighbors stepped up. The Cellar Restaurant and Pub, only just recovering from a flood in March, offered the use of their coolers and freezers. The Army National Guard and Long Lake’s Fire Department provided pumps to help clear the cellar of water. The pumps were finally turned off at the end of May. There was mandated flood insurance, with a $50,000 deductible, but the criteria determined by the insurance company did not meet the requisite deductible and the Adirondack Hotel was liable for all damages incurred. Damage to the driveway, kitchen floor, veranda, loss of business was not eligible for coverage. Total damage including loss of business amounted to $130,000. The Adirondack Hotel Flood Benefit is a chance to re-coup the loss and infuse capital into a part of Long Lake’s history to keep the doors open. On Saturday, September 24th from 2pm to 2am, approximately 25 Adirondack Hotel staffers will be working gratis donating their time and Saturday shifts to benefit the hotel and raise money for this effort. There will be a silent auction featuring original artwork, watercolor painting, photographs by Jim Swedburg and Pat Sullivan. Bid on beautiful handmade purses and jewelry and original artwork by Louisa Woodworth. Pagel’s has donated a fruit basket, the Adirondack Museum has donated tickets and the Olympic Regional Development Agency in Lake Placid has donated a two night stay a condo in Lake Placid. There will be a variety of Flood Relief t-shirts on sale as well as painted pint glasses. The menu includes Kilcoyne Burgers (donated by Kilcoyne Farms), Hot Dogs, Sausage, Peppers and Onions, Baked Beans, Potato Salad and Chips. The regular kitchen will not be open for dining service on Saturday. Tickets are $30 a person and $50 a couple. Rooms are all sold out for Friday and Saturday night. Please check mylonglake.com for lodging information and hot deals. There will be live music all day both inside and outside during the event. Musicians include: Singer Guitarist Peter Vroman, Jay Lamica and his band, The Jay Walken Band, The Fat River Kings (Steve Signell, Brian Beaudin, Jason Hall), The Dark Marbles (Yod Crewsy,Tony and Deb Stuppiello, from Brooklyn, NY and Eric Peter) Rocky and the Moose Knuckles (Rocky Petrocelli, John DonVito, Dave and Mike Stockman,with Eric Peter,) John Wyle, Terry Chaiken and the Nerney Brothers. Tickets are $30 per person or $50 per couple. All proceeds to benefit the Adirondack Hotel Flood relief which suffered over $130,000 in damages and none of it was covered by Flood Insurance or FEMA. Keep the doors of the oldest hotel in the Adirondacks OPEN. Call 518-624-4700 for tickets. The entire event was organized by concerned staffers and former employees of the Adirondack Hotel whose mission is to keep the doors open and their jobs. The Town of Long Lake appreciates the rich history of the hotel and all the historical lodging facilities we have to offer on our shores. The fabric of Long Lake relies upon it’s hospitality business, not only has the Adirondack Hotel been in business for over a century, other lodgings including the Shamrock Motel & Cottages has been family owned and operated since 1928, Green Harbor Motel & Cottages has been in operation, first as a logging company dormitory and a then destination for over 80 years. 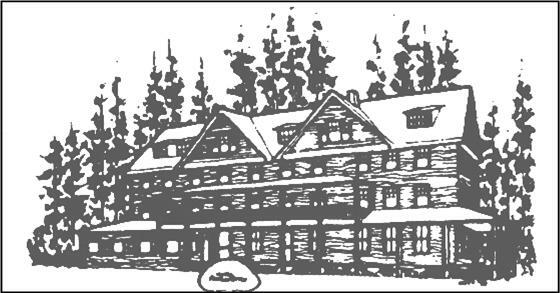 Other long time lodgings open and operating on the shores of Long Lake include: Quackenbush’s Long View Wilderness Lodge, Sandy Point Motel and Cottages, Water’s Edge Cottages, Donnelly’s Sunset Point, Journey’s End Cottages and Motel Long Lake. Join our vibrant lodging family and make Long Lake a destination on your next vacation. We are open all year long. Other restaurants in Long Lake include, The Cellar Restaurant and Pub, the Long Lake Diner & Owl’s Head Pub, the Cyber Creek Café, Hoss’s Country Coner, Flavor, Kickerville Mobil and Quackenbush’s Long View Lodge. Saturday, September 10th the Adirondack Canoe Classic launched from Endion Field in Long Lake, NY. The 2011 90 Miler celebrates its 29th year. 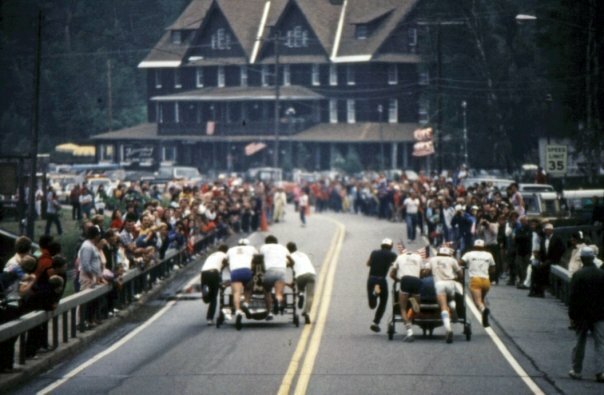 The race is a paddle of the original highways of the Adirondacks, from Old Forge to Saranac Lake. Organizers of the Adirondack Canoe Classic have once again called on the New York State DEC, regional business people, and an army of volunteers to coordinate this massive effort. The following video is a complilation of the launch of the 12 waves of boats. Categories include, Open Touring, Voyageur Canoes, C-2 Family, Recreation and Solo, C-1, C-4’s and Touring, Unlimited, and Tandem Kayaks. The Town of Long Lake celebrates the paddlers and this race. Thanks to Brian and Grace McDonnell for all their efforts in making this race come to life year after year. Please note the top three clips at the top of the video showcases the “ride” down to the field at Endion in Long Lake, NY. The first three video images are from March 7th, 2011, April 30th, 2011 and September 10, 2011. (Just in case you were confused) Just trying to give a sense of place. Long Lake is OPEN! No extra water here! 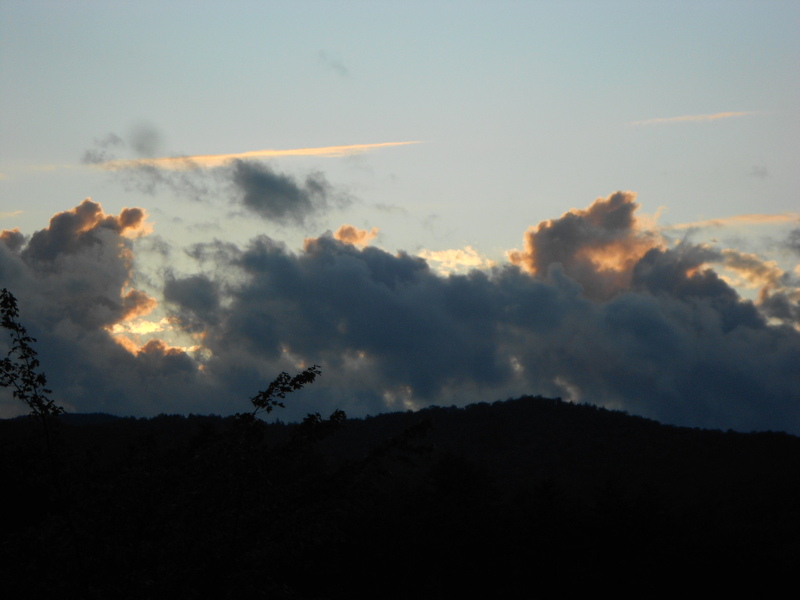 With the recent onslaught of Hurricane Irene wreaking havoc with our region and the continuation of rains from Hurricane Leigh/Lee (call the fact checkers) – it would certainly seem the Adirondacks are struggling. Long Lake extends a huge branch of “hang in there” to our neighbors in Keene, Keene Valley, all along the Ausable, our friends in Warren County, south of us in Binghamton and Vermont struggling with their clean up and rising waters. Those communities got hit hard by Irene and Long Lake knows the surprise, shock and amount of work it is to rise up after a disaster – check for flooding Long Lake (spring 2011). Hang in there our neighbors, our hearts are with you. Long Lake and Raquette Lake are here and open. This weekend presents the 90 Miler Adirondack Canoe Classic sponsored by the Adirondack Watershed Alliance. Over 600 paddlers are registered. The race kicks of on Friday morning, September 9th in Old Forge. Saturday the event takes off from Endion in Long Lake. Paddlers hit the course at 8:30am. Spectators are welcome to view the race from the Long Lake Town Bridge as they paddle north towards Tupper Lake. It’s a glorious sight to see these paddlers as they wend their way down the widening of the Raquette River. Organizer Brian McDonald anticipates with the volume of water in the lakes and rivers that it will be a record breaking race year. Best small town moment of the week. Meeting two paddlers from Michigan stopping at the Long Lake Town Beach who saw event organizer Brian McDonnell picking up the big orange buoys (borrowed from the Adirondack Museum) from the Town of Long Lake – if anything this event is collaborative and partners from all across the North Country help out to welcome the paddlers to our region. The couple from Michigan stopped to say hi to Brian and report they had arrived from the west and they were looking forward to the race. We’re thrilled to be part of such a far–reaching event that invites folks from all over the country and the world to our beautiful region. Also this weekend is the Adirondack Museum Rustic Furniture Fair. Enjoy the museum’s fantastic collection of artifacts and history, and the A.F. Tait exhibit. Step outside to experience a world class event not to be missed. Rustic Furniture makers from across the country descend on Blue Mt. Lake and the Adirondack Museum to showcase their work and sell it to guests. These artisans are exclusively selected and display their handcrafted rustic pieces on the museum campus. If that’s not enough for you, check out Newcomb’s Teddy Roosevelt Weekend chock full of events galore celebrating the historic ride by Teddy Roosevelt from the heights of Mount Marcy to become President of the United States. And don’t forget to make Long Lake your central location for dining and lodging. 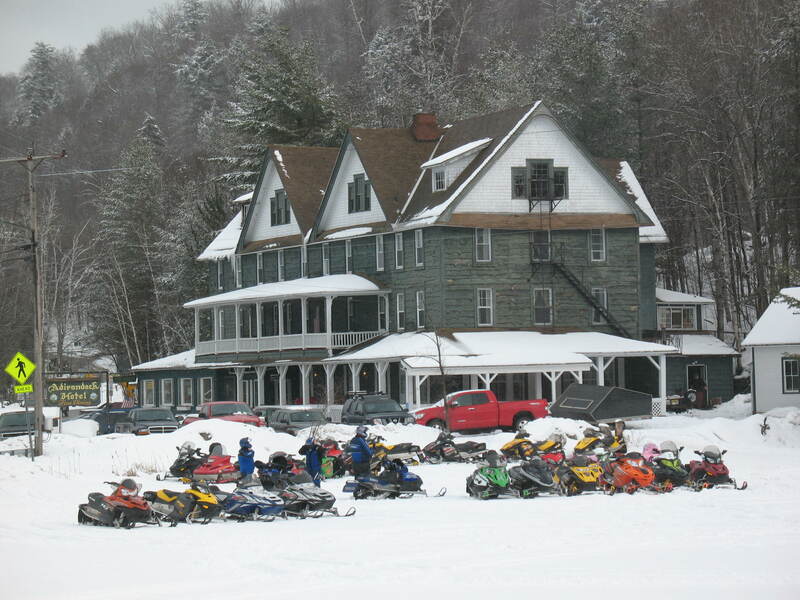 Long Lake is in a great central location to explore the Adirondacks and enjoy these events in area towns. Great restaurants, beautiful views, a lake, hey we even have an airport (okay, a seaplane base) but it’s an airport to us. Have your own seaplane? 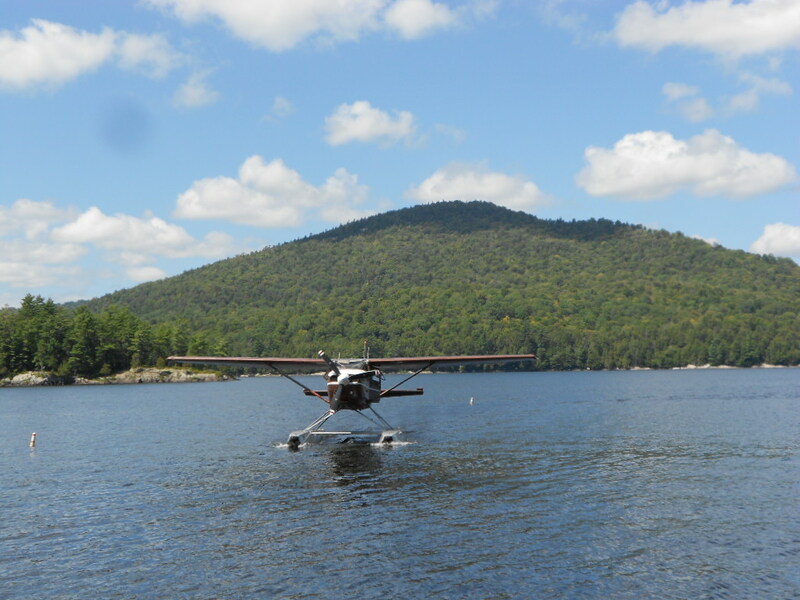 Fly in, or fly over to see the paddlers on the race to Saranac Lake! See you in Long Lake this weekend! We’re open in the Heart of the Adirondacks and the weather looks great!